The City of Vancouver has 28 kilometres of continuous seawall. This is the longest continuous seawall in the world! There are 2 paths on the seawall, one for walkers/runners and one for bicyclists/roller bladers/skateboarders. 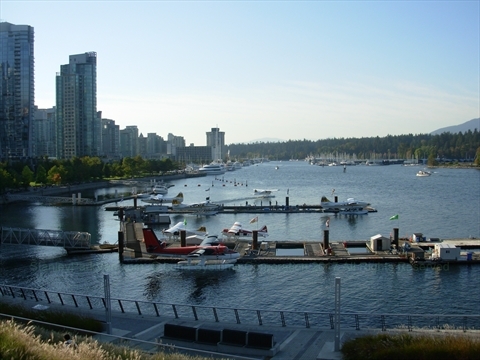 There are 4 attached seawalls: Coal Harbour, Stanley Park, English Bay, and False Creek! The seawalls in Vancouver are one of the biggest attractions in Vancouver and are a must 'thing to do' in Vancouver. Walking the seawall is the quintessential thing to do in Vancouver and one of the things that makes Vancouver so fantastic! Construction of the seawall started in 1917. It took until 1971 until the seawall went around the entirety of Stanley Park! The seawall keeps getting upgraded and made better! There was a major windstorm in 2006 that caused major damage to the trees in the park and also heavily damaged the seawall causing it to partially close for months! It has since been repaired. The Stanley Park Seawall is a 9 kilometre long seawall that goes completely around Stanley Park. The seawall starts at the end of Coal Harbour and ends at English Bay. There are fantastic views from this seawall of Coal Harbour, North Vancouver, Burrard Inlet, West Vancouver and the ocean westward! The Coal Harbour Seawall is a 2.2 kilometre long seawall goes alongs the south shore of Coal Harbour. This seawall goes between the Vancouver Trade and Convention Centre and the end of Coal Harbour where the Stanley Park seawall starts. This seawall has fantastic views of Coal Harbour and Stanley Park. 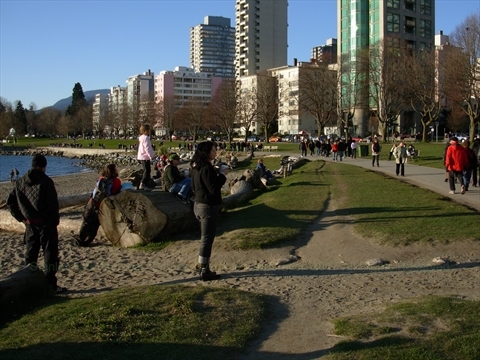 The English Bay seawall is a few kilometre long seawall that runs along English Bay. 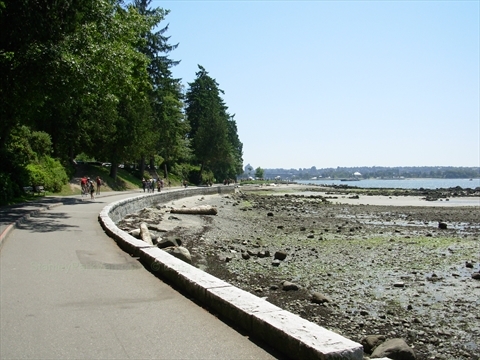 The seawall runs from the end of the Stanley Park seawall to near Sunset Beach. This seawall has fantastic views south to the west side of Vancouver! 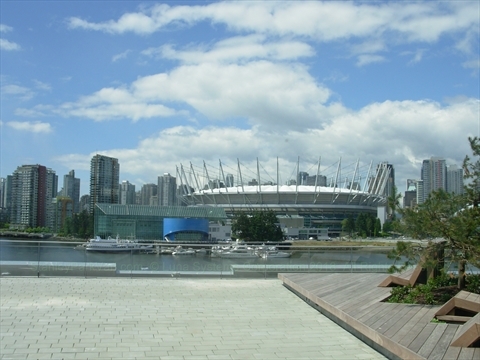 The False Creek seawall is many kilometres long. It runs from English Bay to Telus World of Science and then onto Granville Island, Vanier Park and Kitsilano Beach. This seawall has beautiful views of False Creek with all it's marinas, boats, and high-rises.